The Select Wood and Resin Drapery Hardware Collection Offers lustrous finishes and classic design. 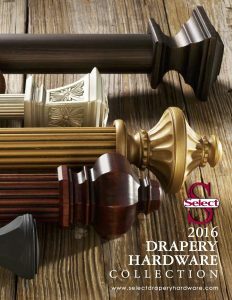 Select drapery hardware offers a quality decorative and functional product with emerging designs, finishes, pole sizes and lengths. See the complete catalog below. ONA Drapery Wrought Iron Decorative Hardware rings, rods, finials and rosettes are custom made per your specializations. D’Kei is your source for this custom made drapery hardware. Every wrought iron rod set is made to order using only premium heavy gauge steel, wrought iron, crystal and more. We have something for everyone. From traditional drapery hardware to contemporary drapery hardware, we offer many choices of styles and finishes to meet the requirements of any project. The patented ONAVERSE cord traverse drapery system is available in a 1-5/8″ iron rod. It features a concealed mechanism and this unique decorative traverse rod is quiet and easy to operate. 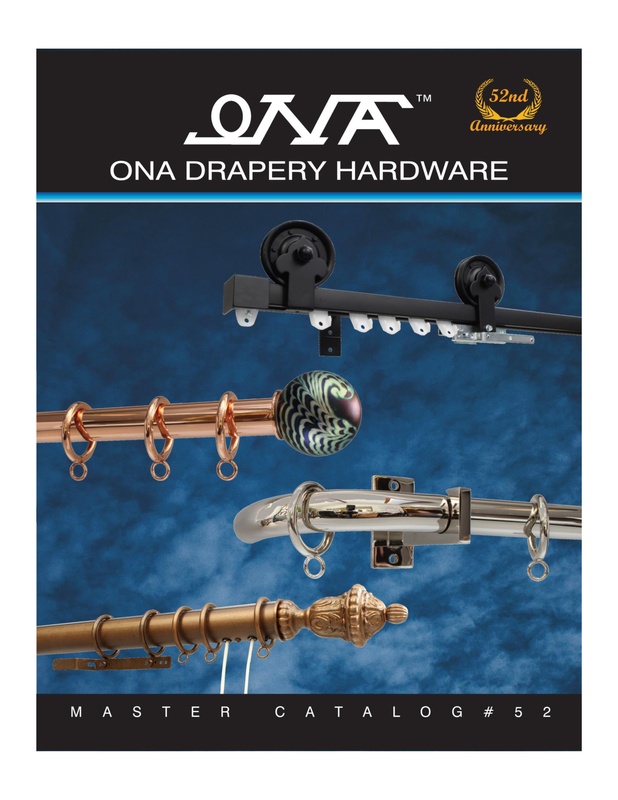 ONA Drapery Hardware represents quality workmanship made in America, timely delivery and customer satisfaction. See the complete catalog below.